Based in Roanoke, Virginia, Town and Country Renovations serves the Roanoke area and the neighboring counties. We have over twenty years of professional experience in residential remodeling. 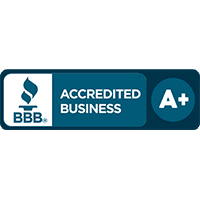 By focusing on providing services of the highest quality and demonstrating superior standards of customer service, we have built a solid reputation making us the #1 choice for your home improvement needs in Southwest Virginia. As a local full-service home remodeling company, we offer only the best in class professional products to suit our clients’ needs. 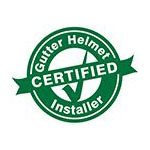 Town and Country Renovations is proud to be your local authorized dealer for Gutter Helmet, which has been the Nation’s gutter guard system of choice since 1981. With its innovative, patented nose-forward design, clutter-causing debris stays out of your gutters while rainwater and snowmelt flow freely into to the downspouts. Gutter Helmet’s textured surface with Permalife coating will not fade or chalk and is available in 10 colors to match your roof. With Gutter Helmet installed on your home, you can say goodbye to cleaning your gutters forever. Don’t you think that it’s time to get Gutter Helmet for your home? Town and Country Renovations always take the extra time needed to deliver not only what we promise, but also what you truly deserve. Why not call us today or fill out our online form on this page. We will get back to you ASAP!